Love and Hate are the phases of life. Some people disguise these emotions and often mislead us, our destiny. we must be careful of what we accept. 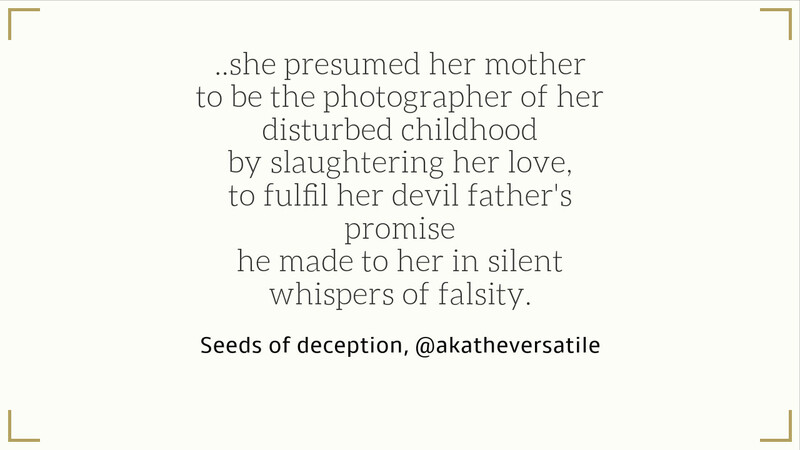 This poem was formed on the basis of a few prompts and the idea evolved eventually. I’m glad the way it turned out, because it is still what I cherish. What do you think? What are your thoughts on the poem and the message behind it? Share your views in the comment section and let the conversation begin. Thank you Purba! Indeed it is. Next Next post: #SugarFreeDessertChallenge Splendid Experience Diary!